FSIGHT Energy Ltd. is an Israeli startup company that has developed an Artificial Intelligence platform for advanced electricity management over a distributed grid. FSIGHT’s main product is Energy AI, the first-ever fully automated solution for smart energy management. Energy AI predicts energy usage, optimizes consumption according to local rates, and makes real-time decisions to store energy produced behind-the-meter and perform peer-to-peer or peer-to-grid trading. FSIGHT has begun incorporating blockchain technology into Energy AI’s Trade module, which performs real-time energy trading transactions. The world of energy production and consumption is quickly turning into a distributed environment, with many different types of providers and production methods, including renewable energy production. Every end user can potentially become a “prosumer”, that is, a consumer who also produces energy, using home solar panels or other technologies. Internet and smart-device technologies enable platforms like FSIGHT’s Energy AI to make decisions about consuming and storing energy, as well as buying and selling energy in an automated fashion. Two kinds of transactions can take place: peer-to-peer transactions, in which two end users trade between themselves and transmit energy over a local grid, and peer-to-grid transactions, in which an end user trades with a commercial operator and transmits energy over a regional grid. 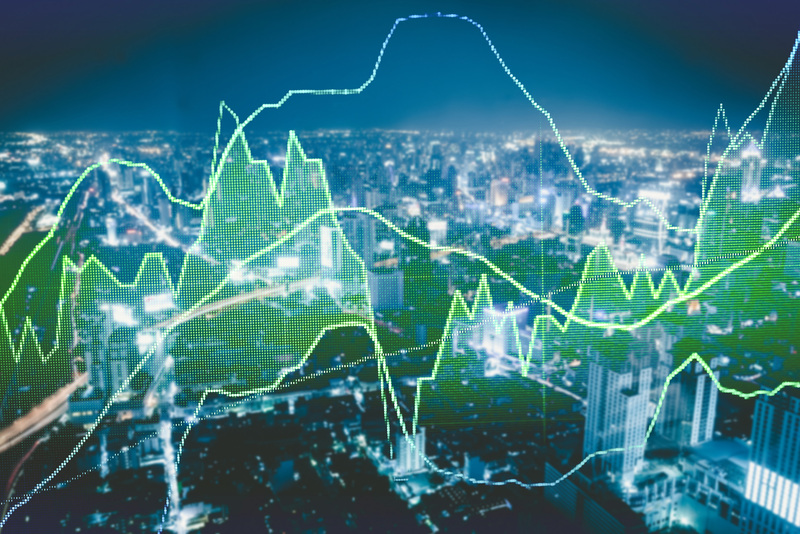 Energy trading solutions must take into consideration the complex factors that cause energy price fluctuations, including supply and demand, location, calendar date, time of day, and so on. FSIGHT, in collaboration with students from the Singapore University of Technology and Design (SUTD), has recently concluded a proof-of-concept (POC) project for evaluating a prototype blockchain-based energy trading module. A blockchain solution for energy trading has unique requirements in terms of privacy. The first phase of the POC consisted of defining functional and security requirements of the blockchain-based module. Several products were evaluated, including Tobalaba of Energy Web Foundation and IBM Hyperledger. IBM Hyperledger was selected as the preferred framework. The second phase of the POC involved simulating an energy trading environment. The POC software implemented a virtual utility company and several virtual end users. Transactions were simulated between end users (peer-to-peer) and between the utility and end users (peer-to-grid). The transactions were recorded using the IBM Hyperledger blockchain framework. The POC implemented a blockchain-based prototype architecture. Further development and testing are required in order to verify that the blockchain solution can satisfy the operational Trade module’s requirements in terms of functionality, efficiency, privacy and security. FSIGHT hopes to complete development of the new module by EOY 2019.